How to Make delicious Tea? A great cup of tea starts with high quality tea leaves, the ideal water and enjoyable tea accessories. In 2014, TeaVivre offers our tea lovers ten amazing tea accessories handpicked from multitudinous Chinese tea sets. Chahai: also known as “justice cup“, it refers to this kind of vessel by which we can dilute tea water. 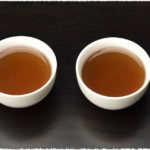 Tea cup: is a small round container that you drink tea from, which usually used for drinking or holding tea water. Tea caddy: is a container used to store dry tea, often have different shapes. Tea tray: you will find it more convenient when you try to clean redundant tiny tea leaves after you pry some pieces from the tea cake or brick with a tea needle. Tea pet: as the name suggests, it refers to a type of traditional craft from China shaped like small pet. It is usually made of Yixing clay. Tea Brush: tools like writing brush, mainly used for cleaning tea accessories. Cha Dao Tea Set: a set of six pieces tools used for gongfu tea ceremony, including Tea Scoop, Tea Tweezer, Tea Pin, Tea Spoon, Tea Funnel, Tea Container. Tea strainer: used for filtering tea water, mainly made of metal, you can put it on gauze frame. Tea needle or tea pin: useful tool by which you can break up tea cakes or bricks easily, shaped like a taper. For example, when drinking teas, you can filter tea water through tea strainer to avoid those tea leaves from getting into the cup. 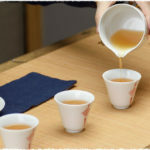 Then hold the filtered tea water with “justice cup “to make tea broth in every cup can yield the same taste and aroma for every guest. Also, breaking up pu-er tea cake or tea brick is sometimes a little bit annoying thing. 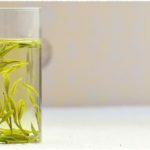 If you have a tea needle, it becomes easy. You just push a tea needle into the tea cake and lift upwards with small energizing, at the same time put a tea tray below the cake to avoid those tiny fractured tea leaves. NextNext post:Angel brings our Spring greetings to tea lovers oversea.